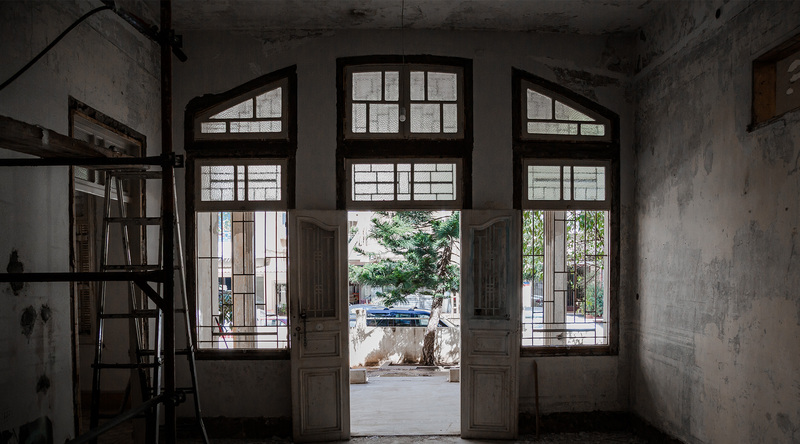 When it comes to renovating one of the few survivors of Beirut’s early 20th century buildings, one can either try to mimic what was lost or invite modern life to boldly find common ground with the past. We chose the latter. Through a combination of preservation and intervention, we barely transformed Villa Badaro, but rather just improved on its existing magic. We brought the villa into the new millennium by adding contrasting contemporary details that make it the perfect symbol of past and present. Tucked away in a quiet side street of Badaro, away from the traffic and chaos of the city, sits a house. It’s a grand villa, with a garden, surrounded by trees older than the house itself. This is Villa Badaro, a place with a hidden history; with walls that, if they could talk, would tell stories of the lives that have lived within them. Villa Badaro is one of the few remaining early twentieth century buildings to survive the pre-war years. It stands alone in its street, side by side with its modern counterparts, like an icon of an era that the city has all but forgotten. Today, Villa Badaro has been born again. 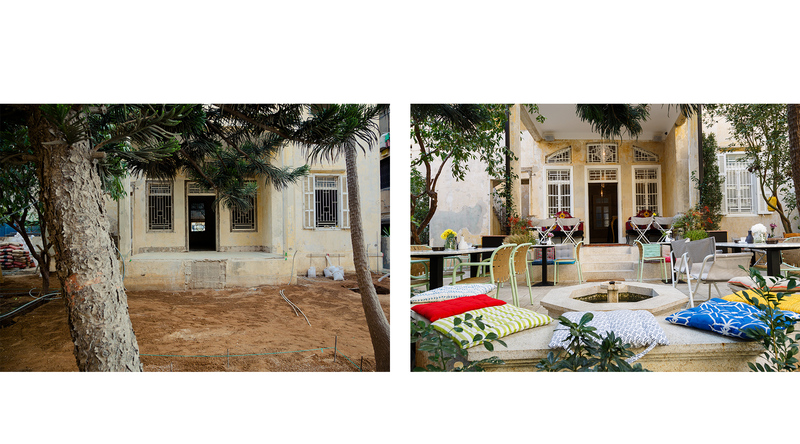 Unlike much of the renovation in Beirut, the Villa wasn’t given a makeover to look like a shinier, newer version of its former self. The Villa was brought back to life by respecting its heritage and celebrating its age by highlighting its flaws. Much like an aging woman proud of her wrinkles, Villa Badaro displays its cracks and rough edges as evidence of a life well lived. 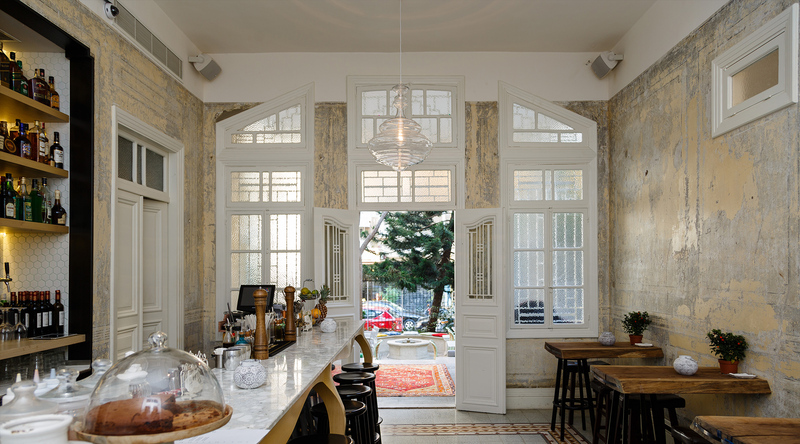 It is the combination of intervention and preservation that makes Villa Badaro a gem in the middle of this bar and restaurant saturated area. 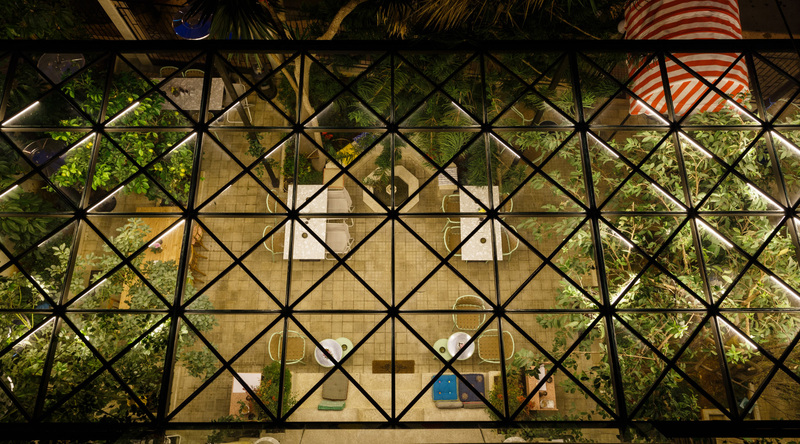 What is most striking about the venue’s renovation is that it seems to have never been touched at all – as if it just reemerged from history to find its place in the 21st century. However, while it’s important to preserve our heritage, modern life should be invited to boldly find common ground with the past. Villa Badaro is the meeting ground between past and present. As you walk through its gates, you’re immediately greeted with a sense of nostalgia. 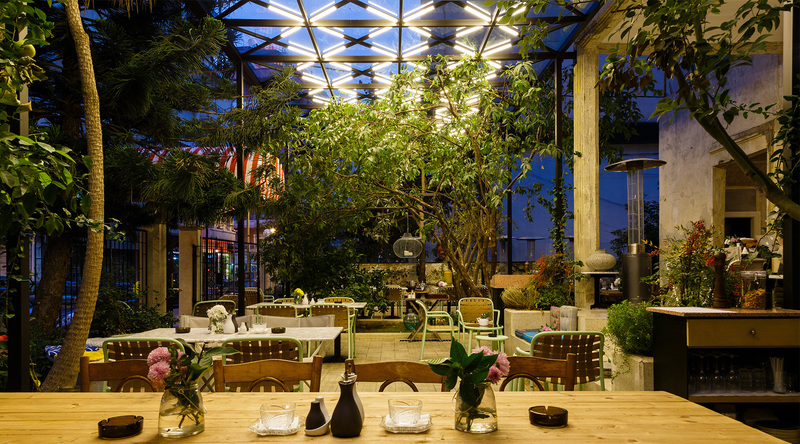 The garden greets you with its terrazzo top tables and unassuming chairs, with a touch of fresh, breezy colors that bring the right amount of natural glow to the space. This isn’t the grounds of a palace, this is a backyard and unapologetically so. No excess, no frills – exactly how life used to be a century ago: the stairs have been widened to encourage casual lounging and even the trees and bushes seem to have sprouted naturally over decades. Just as you feel you’ve been transported back in time, the subtle contemporary details manage to bring you back to the 21st century. 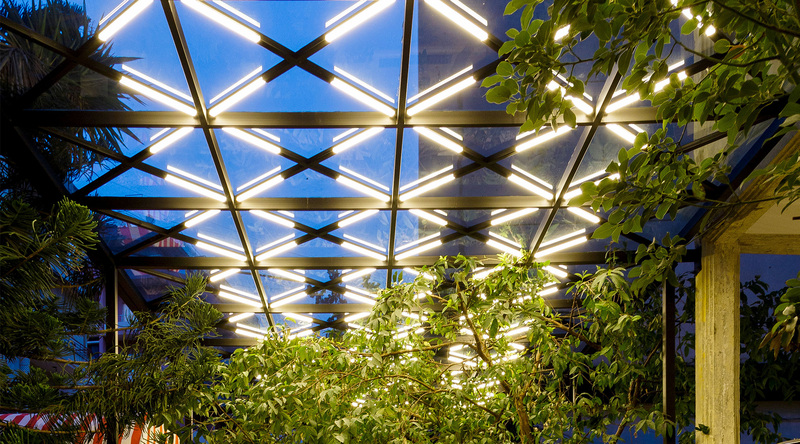 The steel and glass frame that canopies the garden leads your eyes up to a lighting display that competes with the sky above. Then as you enter the villa, its central room stands as the perfect contrast between then and now. 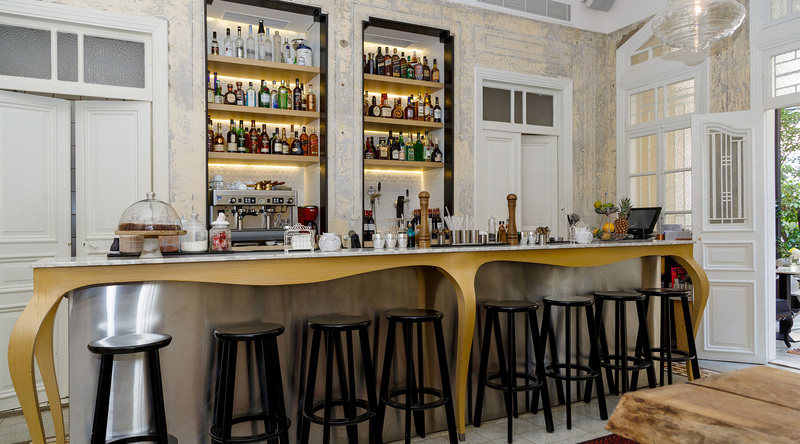 Seven layers of paint were removed to expose the original walls of the space and, just as confidently, a stainless steel bar proudly displays its modernity. 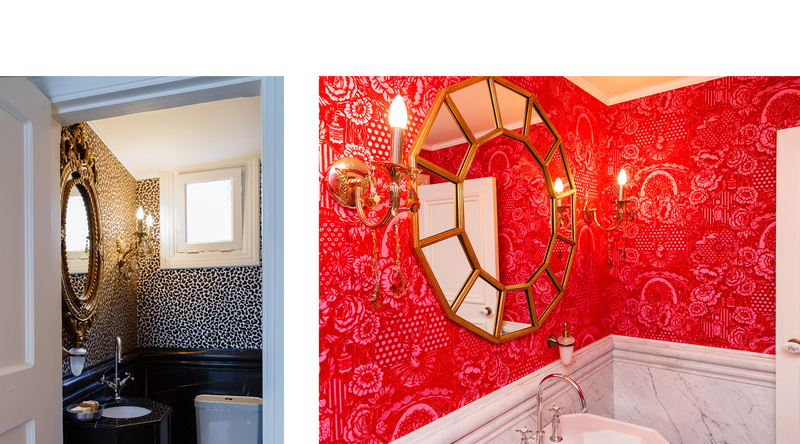 Venture further inside and discover the restrooms. This is the villa’s only hidden secret: bright red and striking – it’s a playful, vibrant touch to an otherwise serene environment.